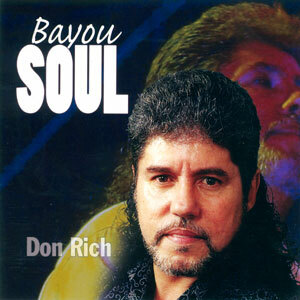 A Cajun musician who can play seven instruments, Don Rich has been working in the music industry for 33 years. He has received a number of awards from the Southern Louisiana Music Association. He’s also popular in the southeastern part of the United States where he performs four to five times every week. Over the years, he has opened for Eddie Raven, Wayne Toups, Freddie Fender, and Percy Sledge. 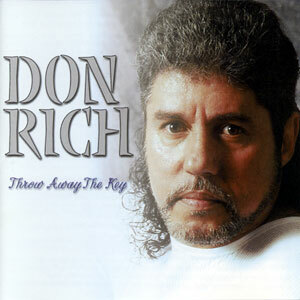 A fifth generation musician, Rich was born Donald Joseph Richard on July 23, 1954. He started playing professionally when he was only 13 years old, and he has been working in the industry ever since. He taught himself to play seven different instruments, including the fiddle, sax, drums, and accordion. He also plays the keyboards, bass, and guitar. In 1994, he cut his first album on Party Time Records, called Louisiana’s Own. That same year, he won Male Vocalist of The Year from the South Louisiana Music Association. In 1995, he snagged awards for Musician of The Year, Overall Group of The Year, and Male Vocalist of The Year. He followed his debut album up with She’s My Lady in 1996 on the JIN label. That album also featured Wayne Toups on the accordion. Rich mixed and produced the record as well as playing keyboards and singing. He won the People’s Choice award for his work in 1996. Three years later, he cut I Want You To Know, and his 2000 release is titled Swamp Pop Soul. 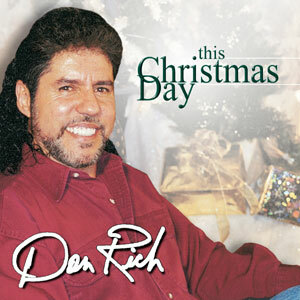 This record features the Don Rich Band, which includes Mark Templet on the guitar and Mike Steen on trumpet. Jason Parfait handles tenor and alto sax while Jimmie “Jam” Adams rounds the band out as the group’s drummer. 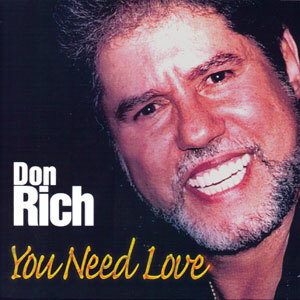 You Need Love isn’t just an empty assertion for Don Rich. The south Louisiana-based singer/keyboardist is fully determined to prove it, down on bended knee, pleading his love struck case over thirteen shots of horn-popping blue-eyed soul. Their wrappers may take different stylistic forms, yet the soulful approach to the message within each song remains consistent. Whether pouring into the creamy ballad of “Last Thing On My Mind,” soaring spirits on the uplift of “Don’t Let The Green Grass Fool You,” or whipping along the cantina whirl of the Tequila-soaked “Hey Maria,” Rich’s voice has all the subtle moves of inflexion to get your lovelight to shine. So a rollicking stab at Sam & Dave’s “Soul Man” doesn’t necessarily validate his status any more effectively, since he’s genuinely a Cajun soulman in his own right, reigning as today’s incarnation of swamp pop. However with his ninth disc being, in part, a tribute to Otis Scott – the criminally under-recorded 1960’s king of dancehalls around Assumption Parish – the soul factor is particularly upped. Take your pick – Scott’s aptly-titled “Groovin’ Soul,” the original “Didn’t Want To Love You,” Bobby Womack’s “Baby, Help Me,” Motown’s “My Girl,” or Stevie Ray’s “Pride And Joy” – whatever the varied source, each song assists in thematically locking down an airtight defense that love – like oxygen – is absolutely required. 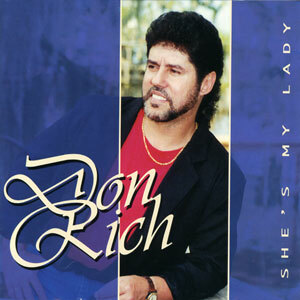 Don Rich is a big man with a big sound. With the release of his ninth CD entitled, “You Need Love” he continues to demonstrate why he remains at the top of Louisiana’s Swamp Pop scene. 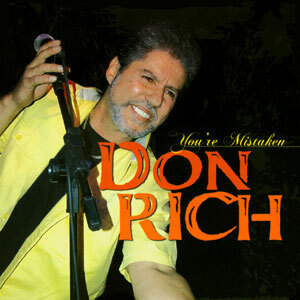 With his soulful voice and exceptional musical arrangements, he stretches the genre to its limits by belting out passionate love songs like “Yes I Will” while delivering powerful renditions of soul classics like “Don’t Let The Green Grass Fool You,” “Soul Man” and “My Girl.” Don Rich’s Swamp Pop sound is full and beautifully orchestrated. The members of his band including Jason Parfait (saxophone, vocals), Gary Usie (drums, accordion), Todd Steely (guitar), James Spells (bass), and Lynn Blanchard, Jr. (bass) are accomplished musicians who add the right accompaniment to Rich’s virtuoso abilities on the keyboards. 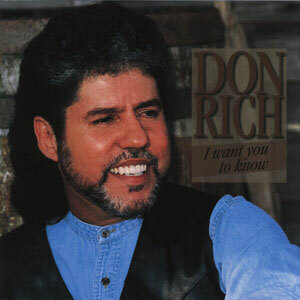 With the release of “You Need Love” Don Rich just might be stepping out from being one of Louisiana’s premier Swamp Pop artists to its most accomplished soul man. His voice and lyrics are emotional and he’s in great musical form on this latest release that earns four peppers. 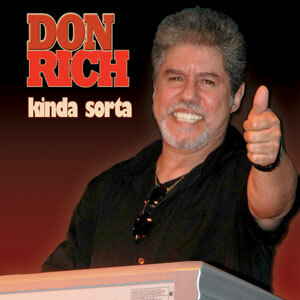 “My goal in life,” writes Don Rich in his official online biography, “is to make it in the music industry.” Exactly what “making it” means these days to Rich, 46, and his fellow practitioners of the Louisiana-based blend of rock-and-roll, country, and soul known as “swamp pop” isn’t always clear. With few radio stations devoted to the format and a target audience at the high end of the Baby Boom demographic, the genre promises little in the way of fame or fortune as traditionally defined by the music industry. Like other big frogs in small musical ponds, however, swamp poppers aren’t above rewriting definitions. Rich has a habit of giving his fans more. In recent months, he’s released Swamp Pop Soul(Jin), a masterly collection consisting mainly of cover tunes that he’s included in his act for years; This Christmas Day, his first but probably not last yuletide collection; and From the Beginning, his long out-of-print and previously cassette-only 1994 debut. And he’s as generous with the quality of his music as he is with its quantity. 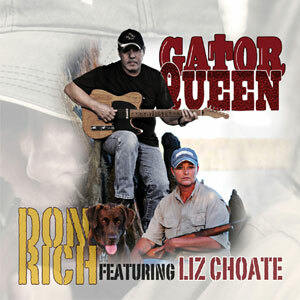 Each of his albums – produced and engineered by Rich, his wife Bev, and Nelson Blanchard – boasts grooves as deep as they are smooth, musicianship as smooth as it is tight and singing – Rich’s – that’s as soulful as it is golden-throated, singing that’s won him two “Male Vocalist of the Year” awards from the South Louisiana Music Association (1994, 1995) and that’s played no small part in earning him and his band the SLMA’s “Musician of the Year” (1995), “Overall Group of the Year” (1995), and “People’s Choice” (1996, 2000) awards. 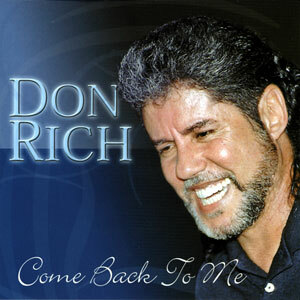 Don Rich, the king of swamp pop soul, has released a fine album this year called “Come Back to Me”. 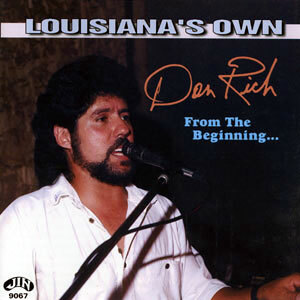 Rich, a native of Pierre Part, Louisiana, has managed to take 16 songs of classic pop and soul as well as some originals and stamp his trademark south Louisiana style on them with delightful results. This is no Michaels Bolton blue-eyed soul rehash. This is the real deal, the sort of music you would expect to hear in some Gulf Coast club. In fact, you can almost smell cigarette smoke and hear the beer glasses clinking. Rich treats the listener to some terrific covers including the Beatles “I Saw Her Standing There“, a rousing rendition of Little Richard’s “Lucille”, and the unforgettable classics including “634-5789” and “C.C. Rider“. The peppy song, “Beaux Beaux In My Head“, a song about a guy with a bad hangover, is fresh and amusing in a happy-go-lucky zydeco sort of way. And on the final track, the mournful “A Lonely Christmas” is very good with a solid rhythm and beat provided by bassist Lynn Blanchard and drummer Bradley Richard, Jr. And it must be noted that Rich is blessed with a backing band that knows how to treat this sort of music while flavoring it with a style unique to south Louisiana studio musicians. Sax-man Jason Parfait and trumpet player Mike Steen really shine thoughout this album giving it a real brassy feeling throughout. 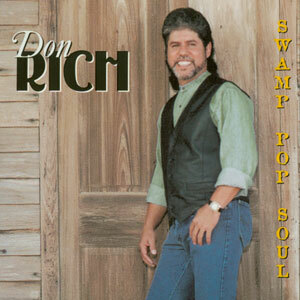 For listeners who want that classic swamp-pop sound, Don Rich is the man. He’s been one of the leading hit-makers in Louisiana; and, he’s equally at home with R&B classics, soul standards, country and good old rock n’ roll. His takes on “634-5789” and “Slip Away” prove that Don’s in tough with the spirit of those songs. His band plays with fervor and enthusiasm, particularly the horn section, consisting of Mike Steen (trumpet) and Jason Parfait (saxophone). Parfait really blows some smoking solos. Rich’s vocals are forceful and high, and when the tune calls for it, he can employ an Aaron Neville-like vibrato. Drummer Jimmy “Jam” Adams propels things along in combination with bassist “Big Daddy” Blanchard, especially on the Cajun romp, “Beaux Beaux In My Head“. The tasty band takes songs that were hits for other folks and makes them their own.